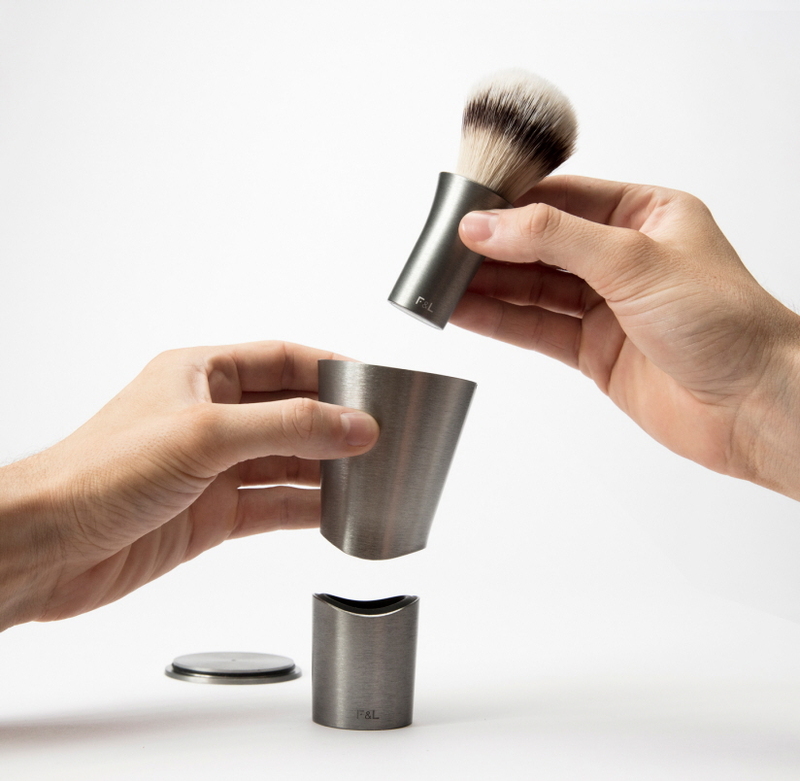 Offset is a system of three parts – a badger hair shaving brush and a case which transforms into a stand for drying the brush and a dish for the razor. 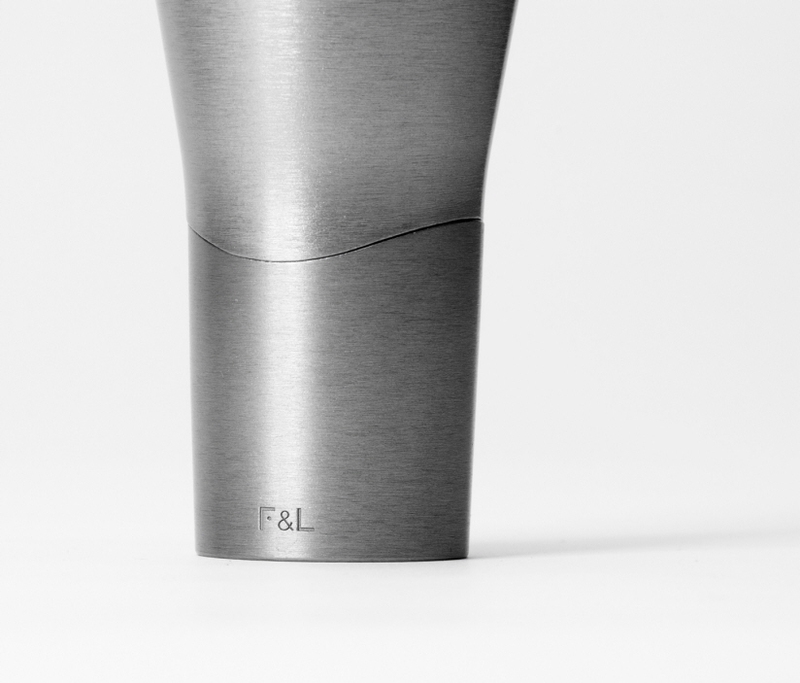 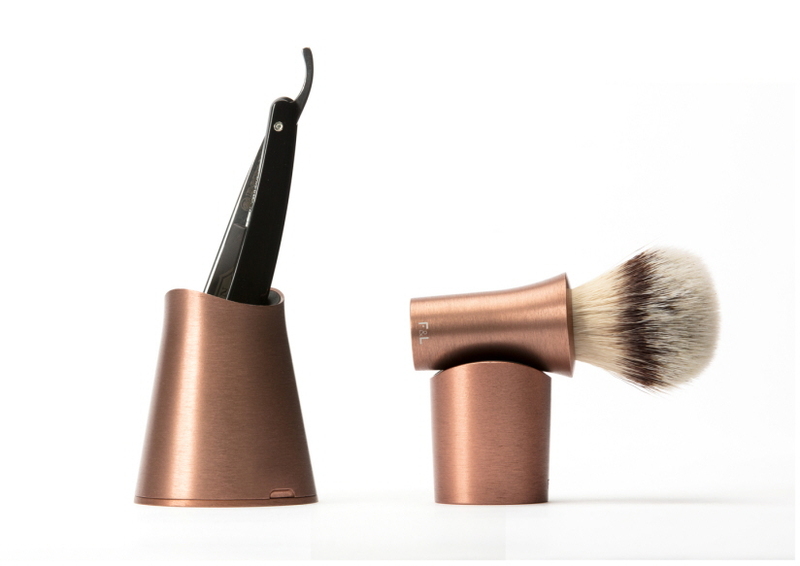 The strong, geometric silhouette is reduced in form compared to traditional shaving accessories. 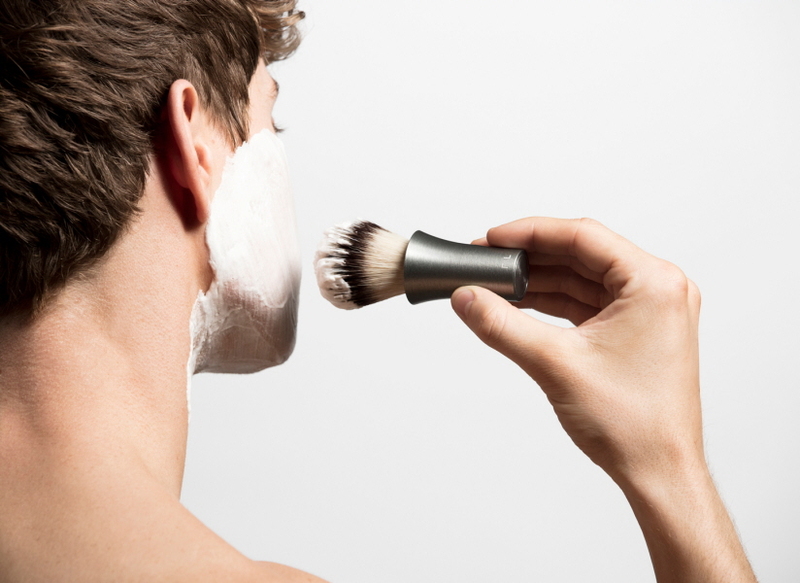 The brush handle is flared at the top to make it easy to grip while shaving. 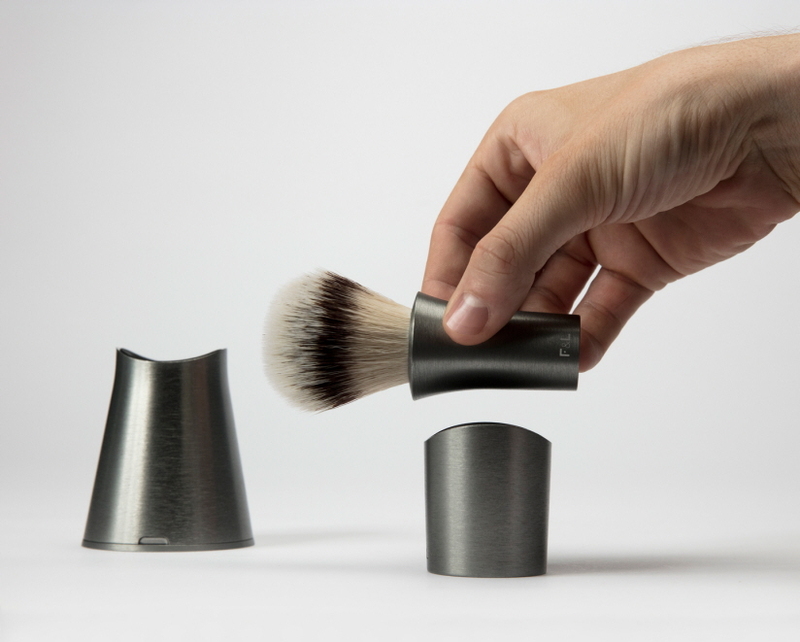 The brush handle and case are made from machined anodised aluminium, which is tactile, easy to clean and rust-resistant. 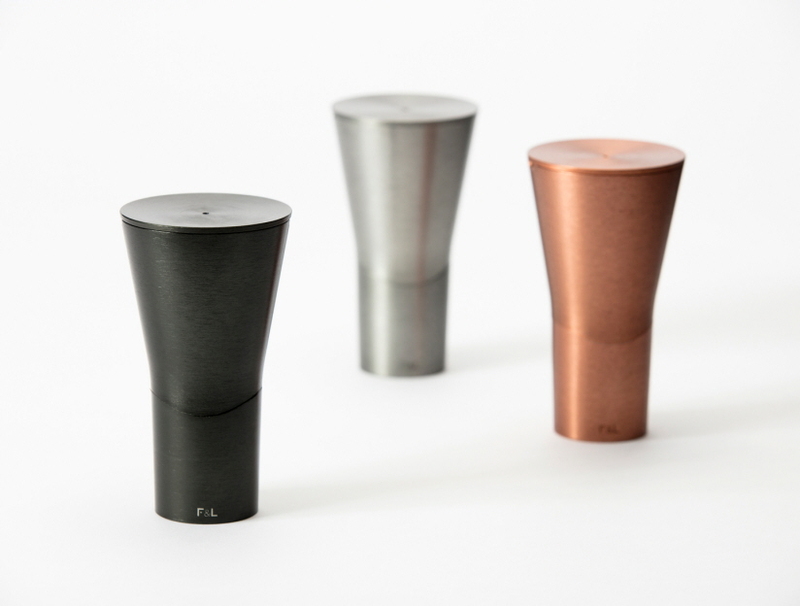 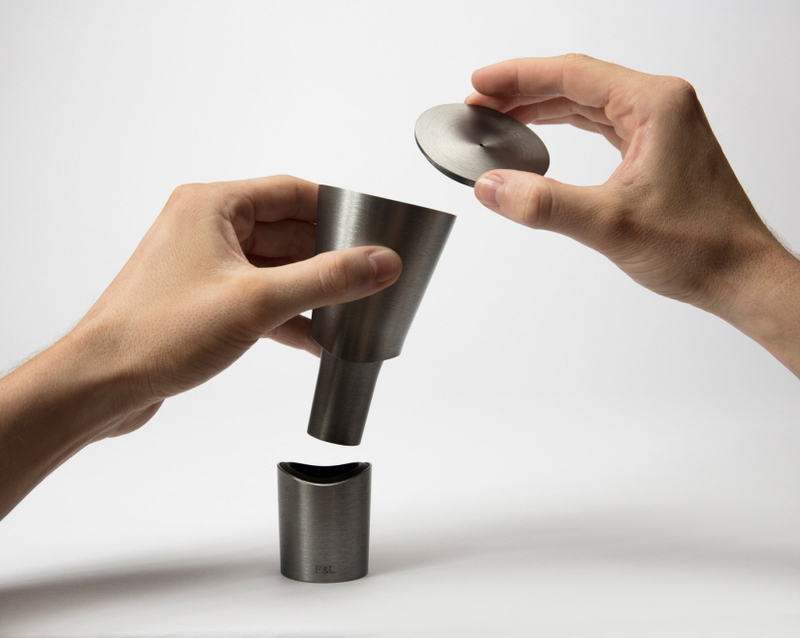 The components connect with a hidden magnetic system, keeping the form minimal with an engaging expression.